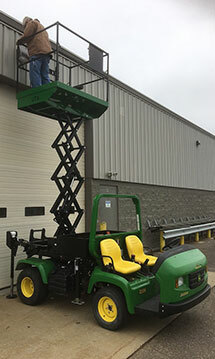 The EM is a portable scissor lift made for UTVs. 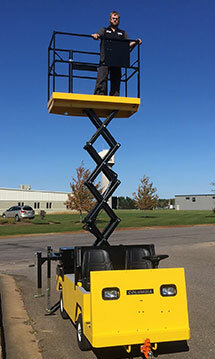 The EM comes in two sizes. 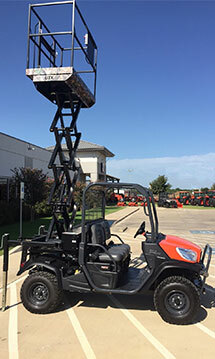 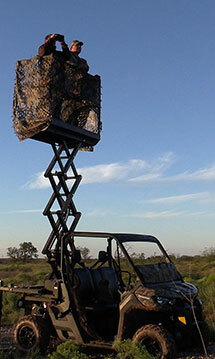 Eighteen and Nineteen feet working height and is readily mounted onto the UTV using our Easy-on Easy-off adaptor. 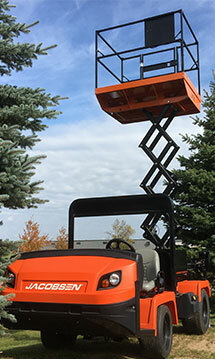 Using the four jacks provided you can have your EM fitted to the UTV and ready for work in under 5 minutes. 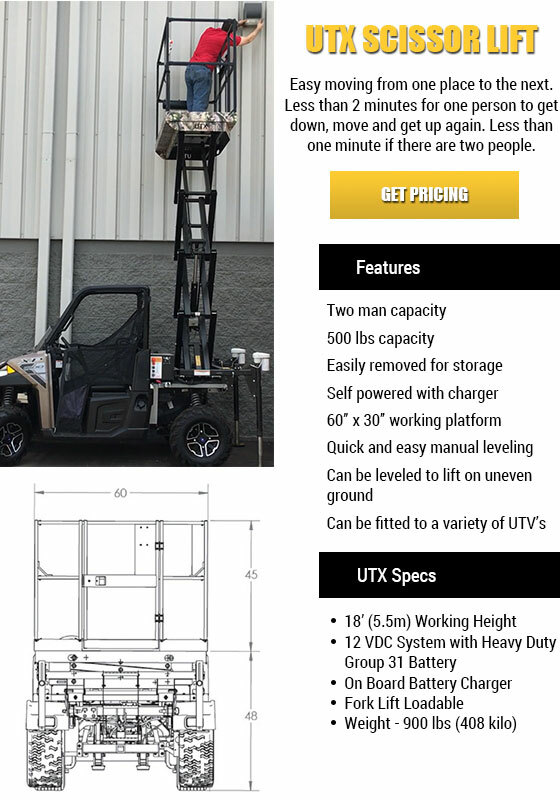 It is a fully self contained unit that does NOT draw its power from the UTV.